Nokia N95 – 8GB Becomes Official! Another FCC posting had led to the N95 8GB becoming official! There are a few design tweaks with the screen possibly becoming larger. The multi-media keys have become a little elevated. The microSD card slot has most likely given way to 8GB of internal flash storage. The camera’s shutter has been reworked to allow space for a 1200 mAh battery and there will no longer be a protective cover for the camera. 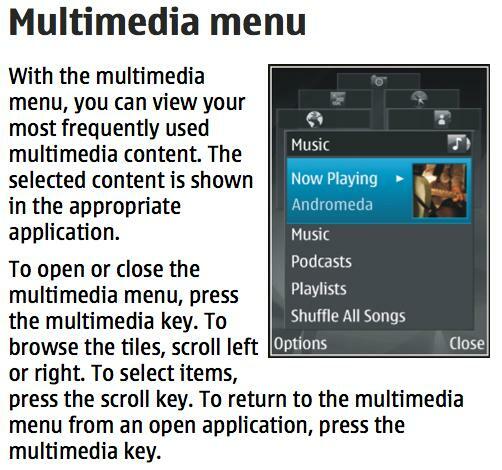 The UI also has been given a little tweak specially the menu launched by the multi media key. I personally am not very pleased with the new look of the phone. The black looks a little cheap and the smaller keys a little odd! That would be nice. Seriously! Nokia has released firmware 12.0.0.14 for the APAC region, presumably fixing some minor issues. I tried the software updater, wasn’t available for me. APAC is asia pacific, so i’d doubt that.